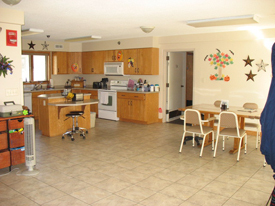 Our homes are certified Intermediate Care Facilities for Individuals with Intellectual Disabilities. 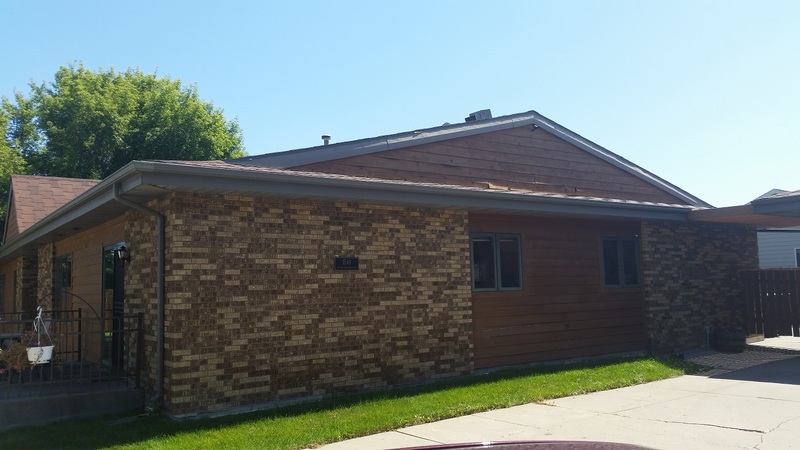 This cleverly hidden, six-bedroom home is located in a well-established neighborhood in South Mandan. 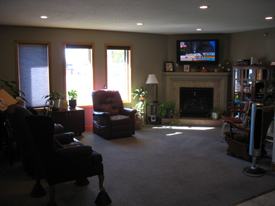 Home to six individuals, its recently remodeled general living space boasts an open concept design with a gas fireplace as the focal point of the great room. A covered patio, large backyard and well established growth of trees provides an outdoor space that provides year round appeal. 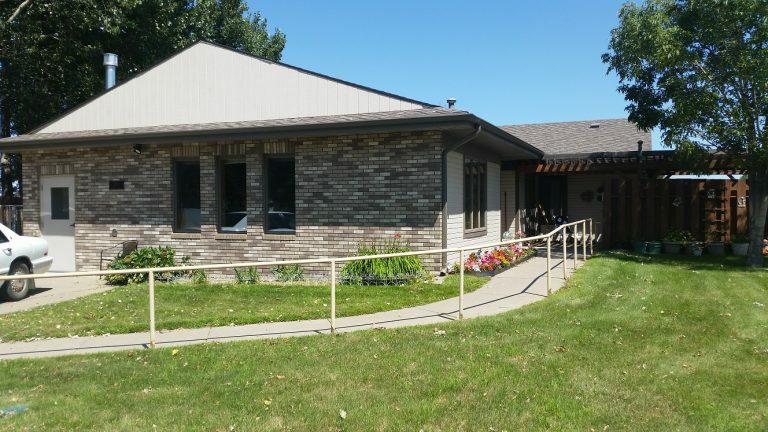 Staffed 24 hours a day, this residential program offers services to clientele that are experiencing the effects of aging and/or serious, progressive medical conditions. Utilizing the philosophy of aging in place, the program elicits community-based services of Home Health and Hospice as needed to augment the care provided. Well tenured staff provide consistency and bring years of expertise to the delivery of services. 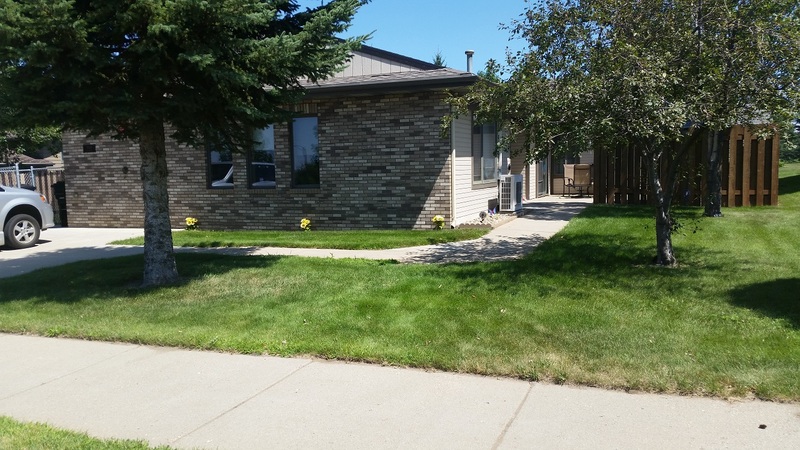 A place full of smiles, laughter and lots of attention describes this home. East Princeton rests on the outskirts of Bismarck in Imperial Valley. This place is home to six individuals. 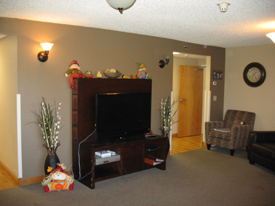 The people here have lived together for several years and have come to know each other quite well. 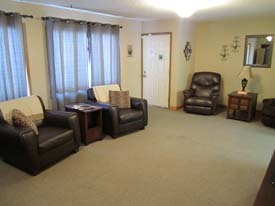 East Princeton has an open and spacious living room next to a large kitchen, both located in the center of the home. Three bedrooms on each side of the house branch off of these rooms. Two of the bedrooms on each side share an adjoining bathroom while the third bedrooms have either a bathroom attached, or a bathroom in the hallway which features a roll-in shower that can be utilized by anyone who is living in the house and has need of it. The beautiful front and back yards parade various flowers, wooden swings, patio furniture,a garden and a huge grill. Both a vehicle and a maintenance garage are located here which have proven to be quite convenient. Transit services along with a standard van and a lifted van are available to shuttle the people living here to and from the places they need to travel to. Staffed 24 hours a day by a variety of ages and a mixture of genders culminates to make a great team for assisting those who call East Princeton home. Family contact along with various community activities are important to the people living here and are part of what makes this place a home. 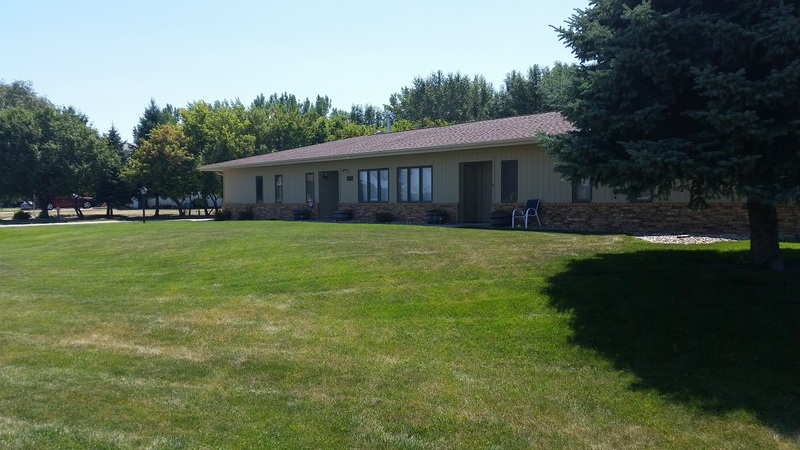 Just south of the Bismarck Expressway rests our South Washington home which features a spacious deck with patio furniture and a newly remodeled interior. The entrance opens to a the main hallway giving access to the openly-planned kitchen/dining room, the large cozy living room and two additional hallways leading to the bedrooms also branch off here. There is a large television located in the living room and a wallmounted flat panel located inside of the free-flowing kitchen that features a sizable island for preparing and eating meals. 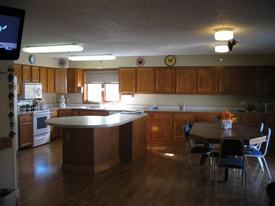 A kitchen table allows for group meals with the individuals living in the home and the front deck along with the back patio and yard give the residents at South Washington the freedom to enjoy the outdoors in comfort and safety. This home is staffed 24 hours a day by a wide variance of staff ranging in age and experience, giving South Washington a dynamic feel which allows for the growth and stability of the clients living here. Located across the street from Fort Lincoln Elementary, this recently remodeled home mirrors the busy neighborhood where it rests. 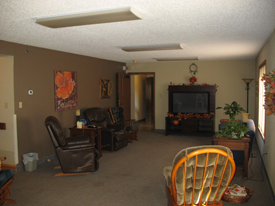 Staffed 24 hours a day, this residential program offers services to an active clientele with multiple diagnoses. A lift van and standard van are available to those living at this home. Local Transit services supplement these transportation options. 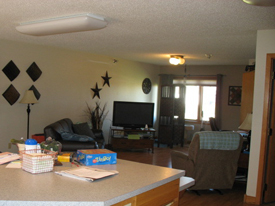 The seven bed-home boasts an open, single-level, general living space that is wheelchair accessible. A side patio and large backyard provide multi-season opportunities. Recent updates to heating and cooling along with the addition of a house-wide sprinkler system provides comfort and safety to the home’s occupants. 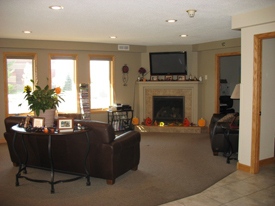 A gas fireplace in the living area provides both ambience and warmth on those cool North Dakota nights. 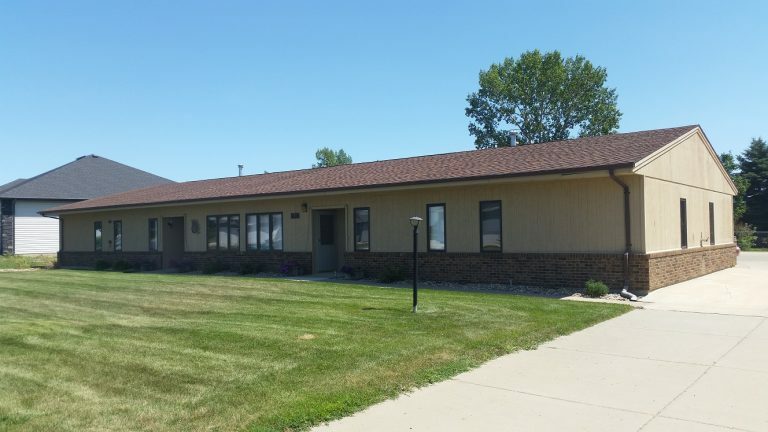 A fun-loving and energetic environment would be the best words to describe this home, a six bedroom house located on the outskirts of Bismarck in Imperial Valley. It is inhabited by six individuals who all love to be busy, as all the residents are constantly on the move. West Princeton has a large backyard with clusters of trees and bushes surrounding the property. A garden, tree-swing, large trampoline, wooden swing, flowers, patio furniture and a garage populate the yard as well. 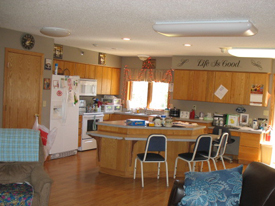 The home is setup similar to a duplex setting as one side has a large spacious floor plan that allows easy movement with a kitchen that has an easily accessible island for those in wheelchairs. One room has a bathroom with a roll-in shower while the other two rooms on each side share an adjoining bathroom. 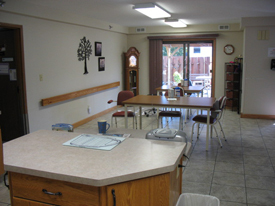 This home is staffed 24 hours a day with a majority of the caretakers having been present for a number of years, allowing security and stability to those who live here. The staff vary in age and gender which allows for the neccessary teamwork involved in making the wants, needs, and goals of those living at West Princeton become as real as possible.